We're looking forward to a great Security Conference. Below is information to help you get the most out of your time at the conference. Want Security info to go? Download our mobile event app packed with schedules and other essential data. Stop by Registration to pick up your badge and other materials. Registration is located in NY Hilton Midtown, 3rd floor, Promenade area. If you are registered for a training or tutorials and would like to change your selection, visit your Account Dashboard and click the "Change your registration selections" link in the Registration Selections section. 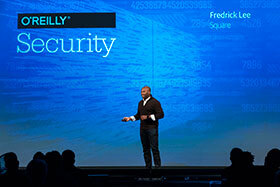 To upgrade your pass or make other changes to your registration, please email confreg@oreilly.com. If you are speaking at the conference, please check in and pick up your badge at the Speaker Lounge, located in Bryant at the New York Hilton Midtown. Make sure to stop by the Sponsor Pavilion (Grand Ballroom Foyer/ 3rd Floor Promenade) to check out the sponsors and exhibitors displaying the latest in defensive security related tools and technologies. Training and Tutorial Preparation—Save the WiFi! If you're attending in–depth trainings or tutorials, please review the instructions for each session and take action on the requirements before you arrive. Some trainings and tutorials require software downloads, installations, and other "homework"—instructions can be found on the detail page for each training or tutorial. Make sure to join us at the networking events planned at Security: Birds of a Feather, Speed networking, and more. Your conference pass includes a free 90–day membership to Safari, O’Reilly's online learning platform. Get on–demand access to ebooks, video, Learning Paths, live online training, interactive tutorials, case studies—plus all the video recordings from this conference (and other O’Reilly events). Stop by the O'Reilly booth to activate your membership. Wireless Internet will be available throughout the conference area. The name of the network is Oreilly. Password is security . Keep in mind that you're sharing the network with your fellow Security attendees, so please refrain from downloading large files while on the conference network. If you need assistance getting online, please visit the customer service desk in Registration or send a message to @OReillySecurity. The Online Attendee Directory for Security is open. 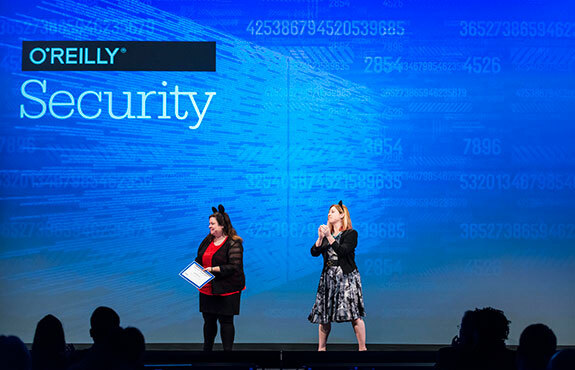 See who else will be at Security this year, set up your personal profile, message and interact with other attendees, and manage your contacts. Check out some tips for getting the most from the Attendee Directory. You must be registered for the event and have opted–in to the Attendee Directory to begin using it. Mark the presentations and events you want to attend by clicking on the calendar icon next to each listing. You can then access it by clicking on the "Personal Schedule" link in the Schedule View page. Printed versions of the daily schedule will also be available throughout the conference area. We'll be posting speaker slides as we get them; however keep in mind not all speakers choose to make their slides available for download. All keynotes and sessions at Security are being recorded (pending speaker consent). This video compilation will be available for viewing in Safari about three weeks after the conference ends. Please note: If you have a Platinum or Gold pass, the video compilation will automatically be added to your O'Reilly Account. Our goal is to capture the excitement of our conferences, and you may see photographers or videographers (including ones we've hired) documenting this event. Photos or videos taken by or on behalf of O’Reilly may be posted on one or more of our sites or used in future marketing materials and publications. We also encourage attendees to share their conference experiences through social media. It's possible that you would appear in some of these shots. We invite you to speak directly with any photographer if you have concerns about their activities. Please note that audio and video recording or broadcasting of presentations (keynotes, sessions, tutorials, workshops, and training courses) by attendees is not permitted. If you need a private, nearby space for pumping or breastfeeding while you're onsite at the conference, please visit the Customer Service desk in the conference registration area for information and access. Looking for a good restaurant? Need to do some last minute shopping? We've assembled a guide to restaurants and businesses surrounding the New York Hilton Midtown. All participants must follow our Code of Conduct, the core of which is this: an O’Reilly conference should be a safe and productive environment for everyone. Read more. Have a question or comment for a speaker? Post them in the "Add New Comment" field found at the bottom of any session detail page. Please keep in mind that your comments will be public. You can also rate any of the sessions you attend on the O’Reilly Events App. Just look for the session evaluation button on the session description page to submit your rating. Stop by our customer service desk in Registration area.